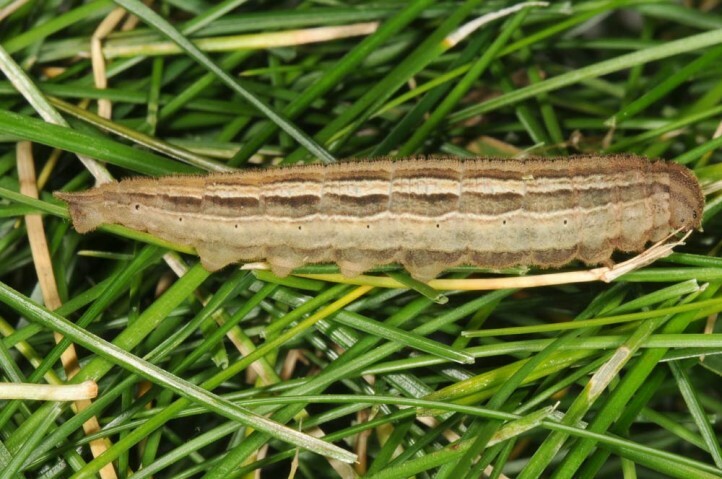 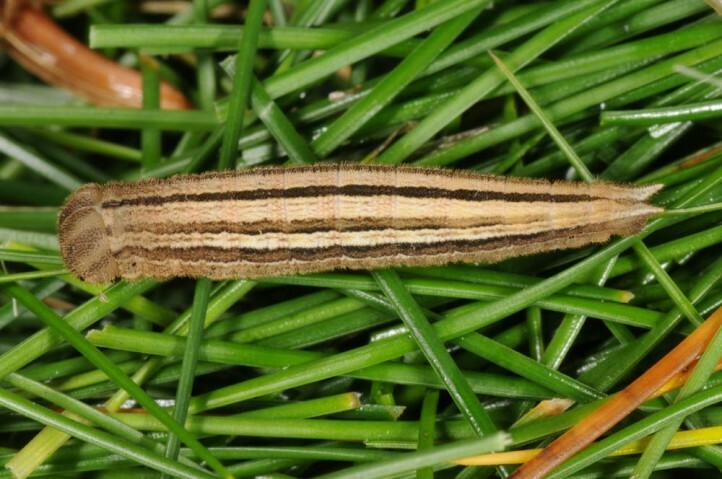 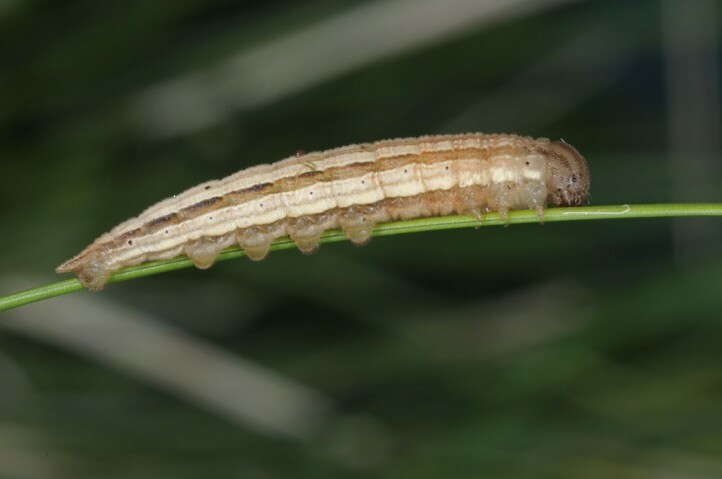 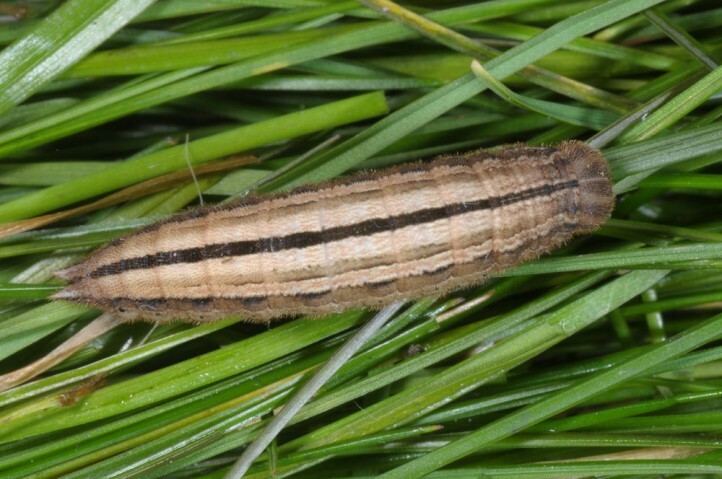 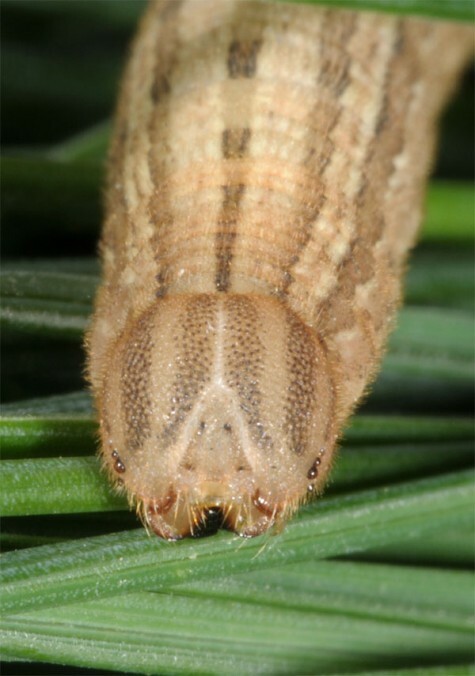 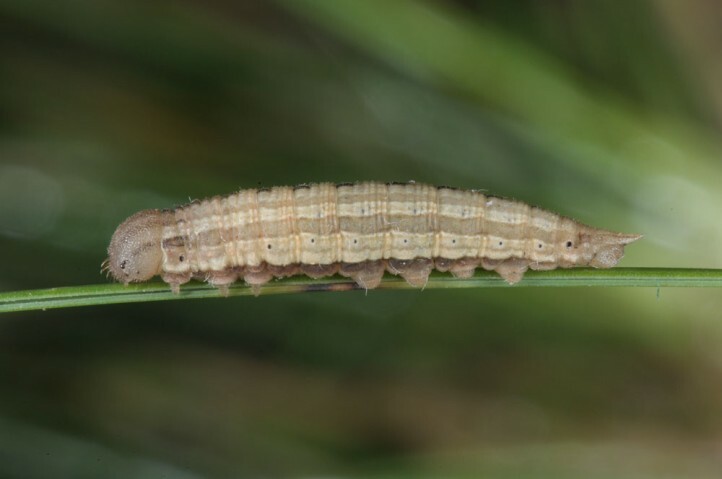 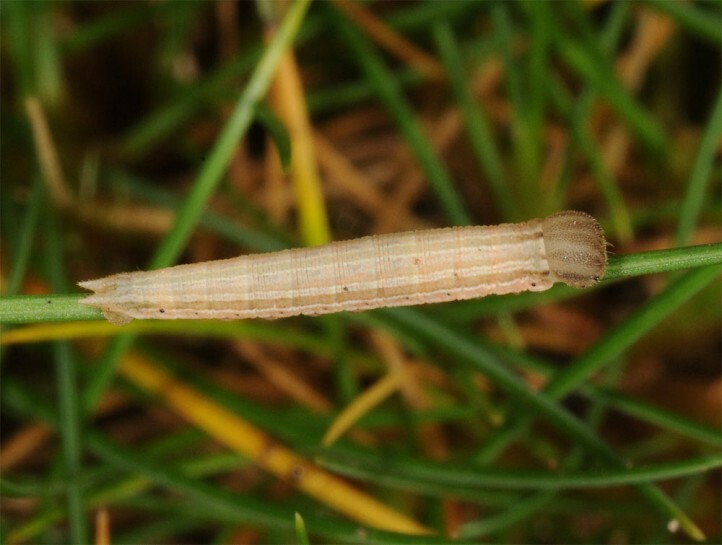 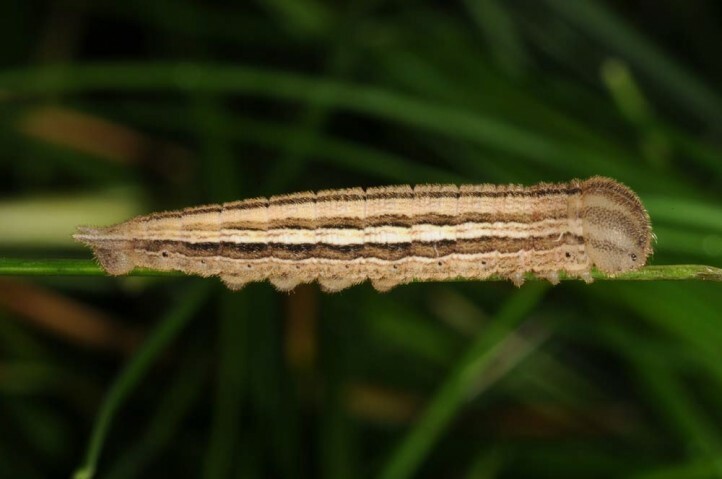 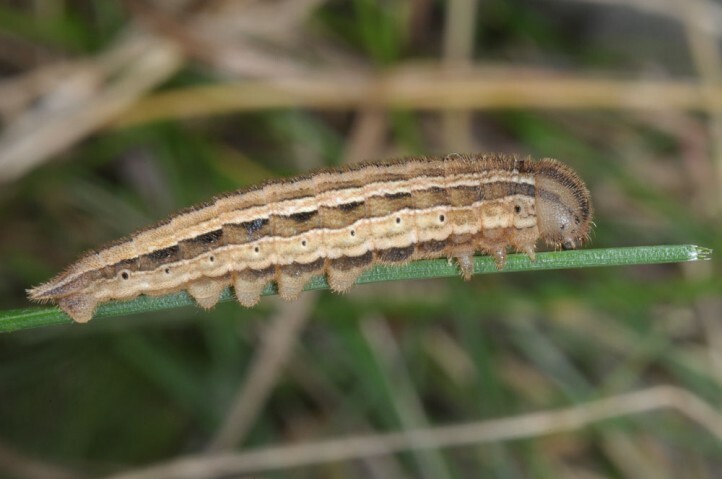 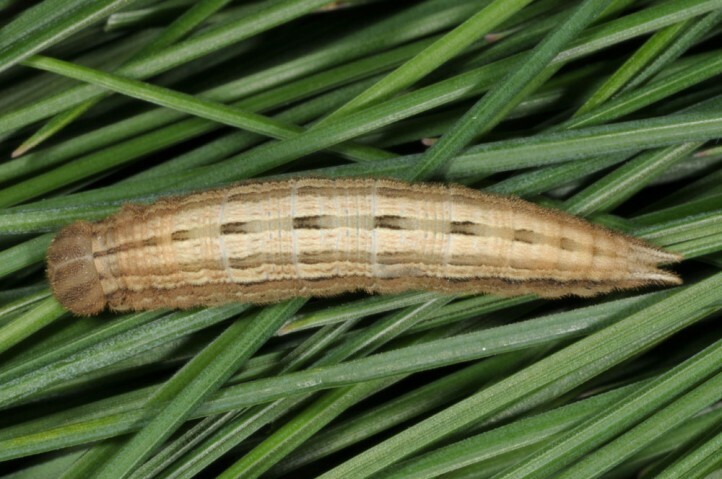 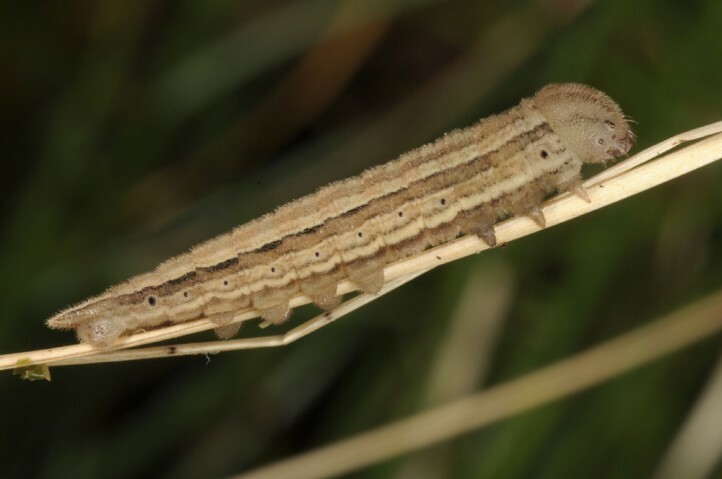 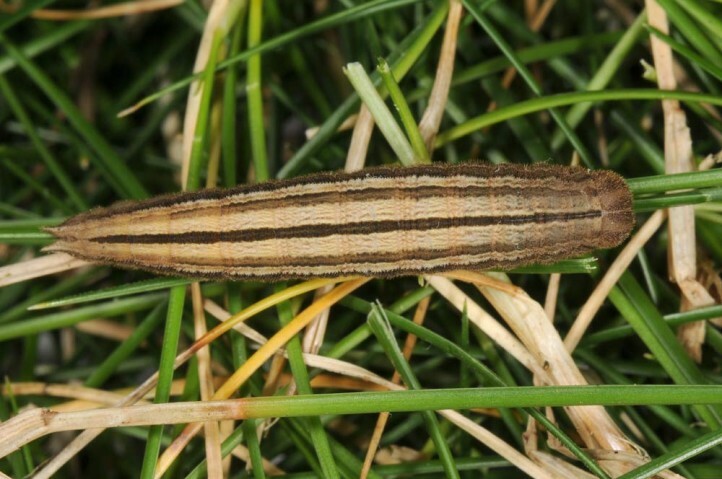 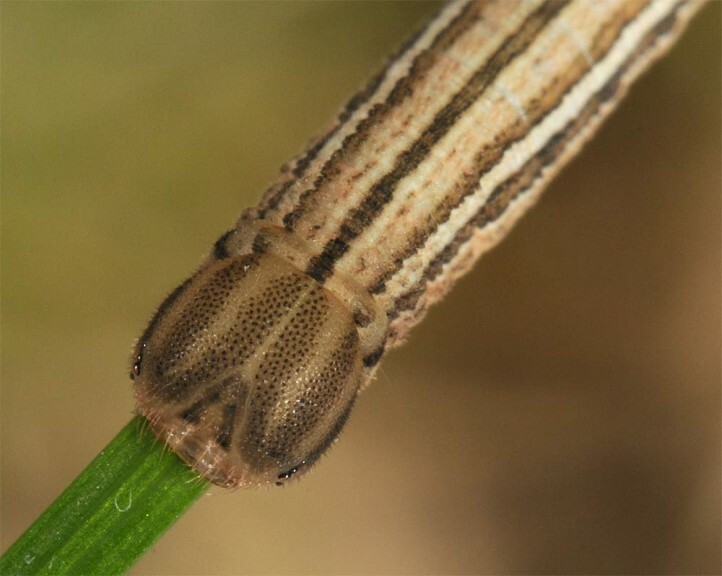 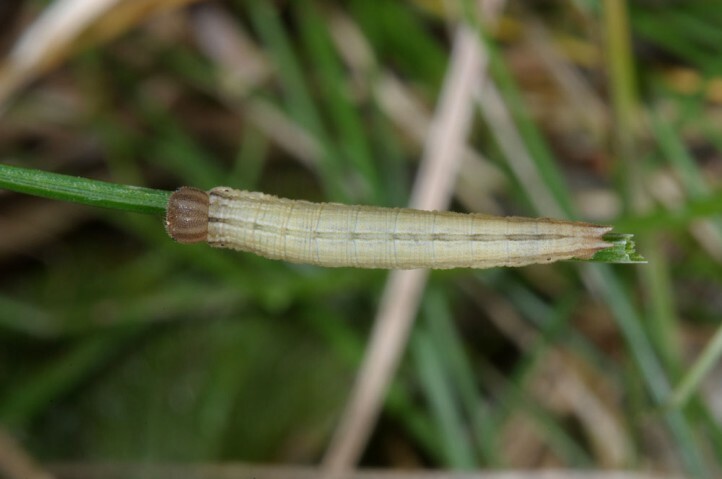 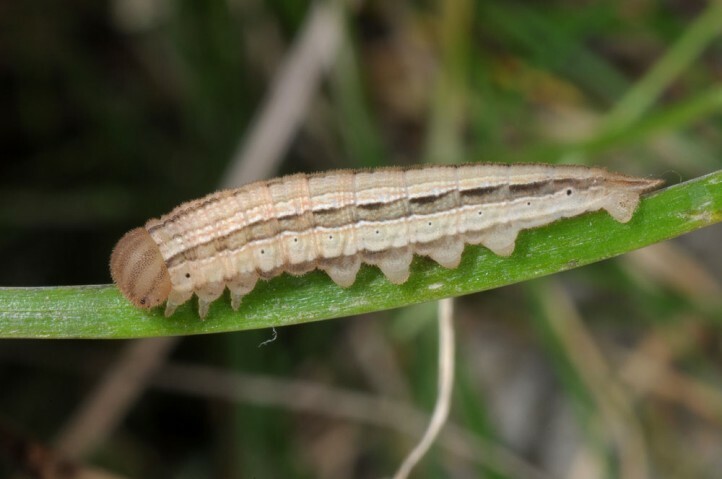 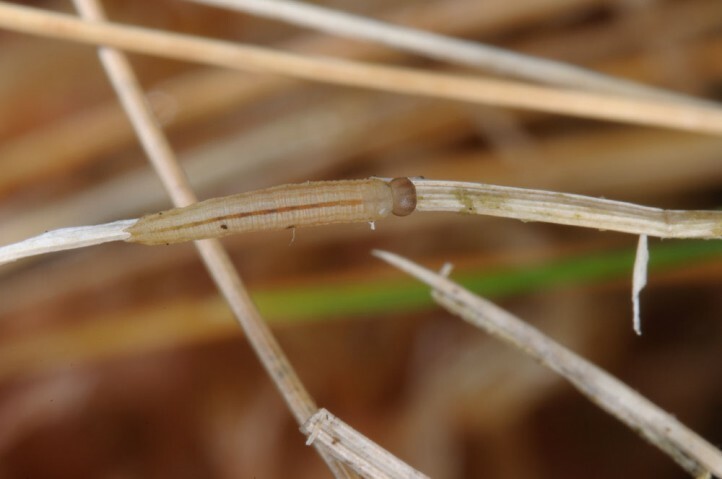 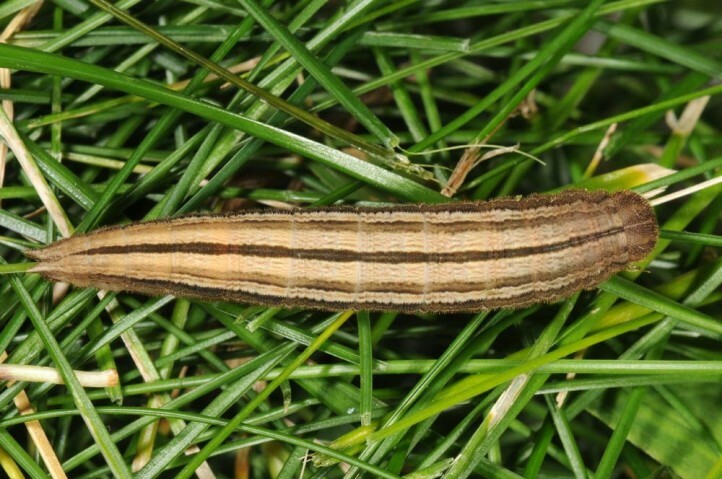 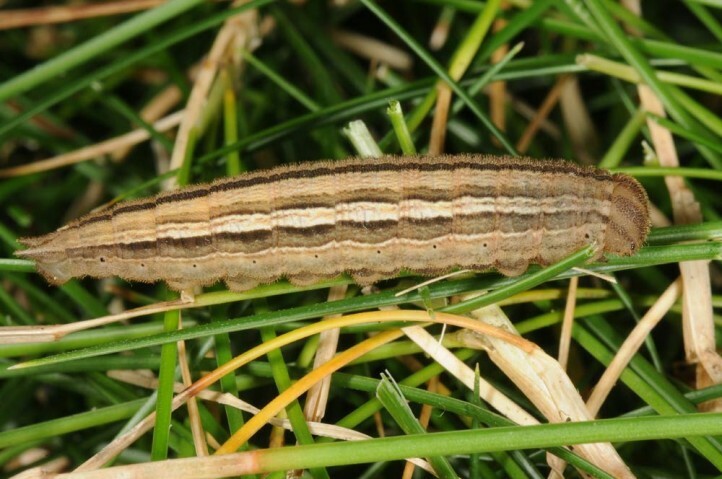 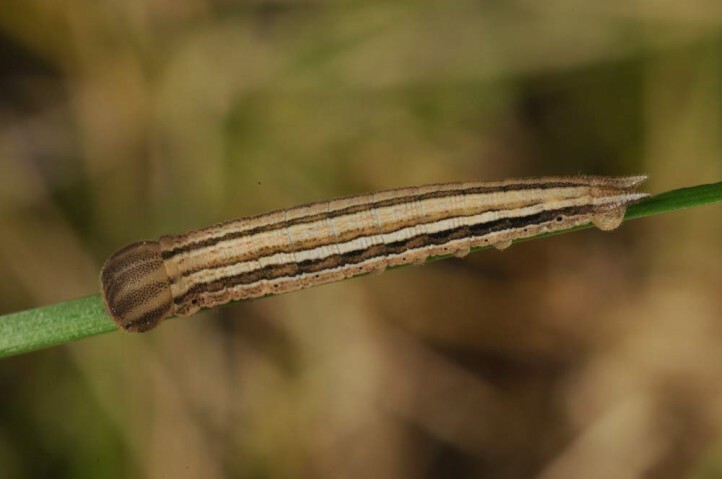 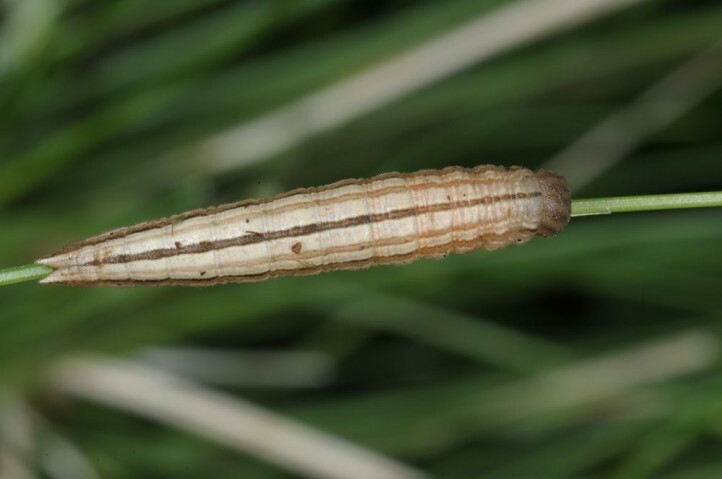 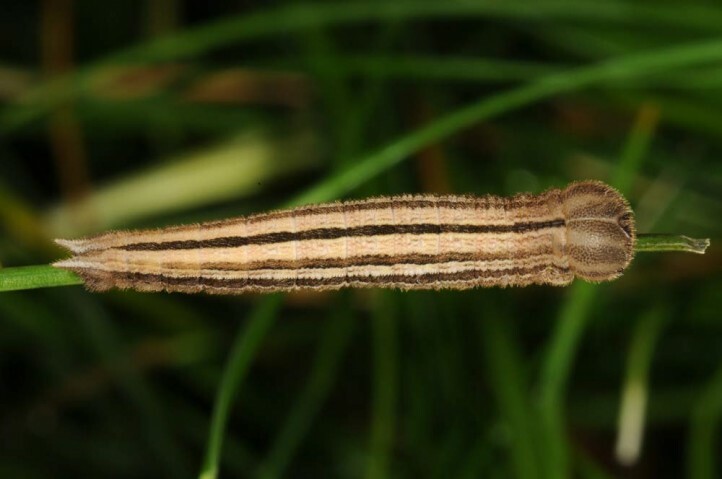 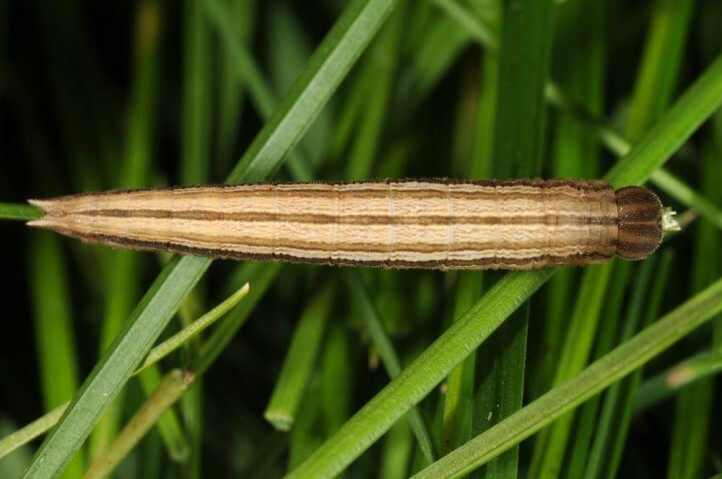 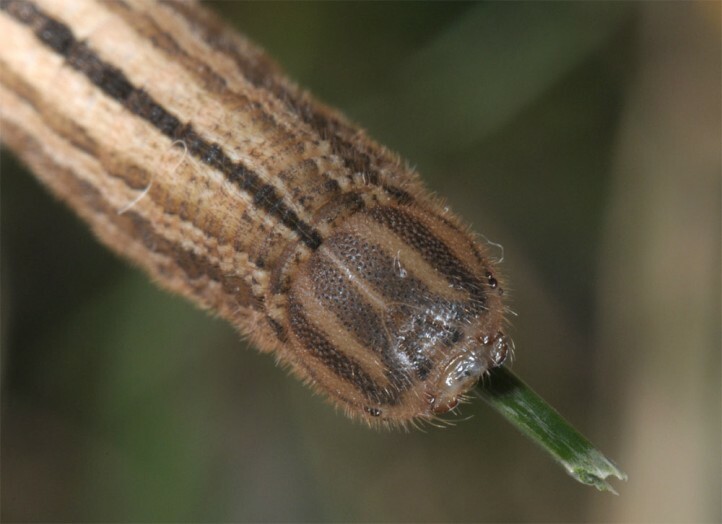 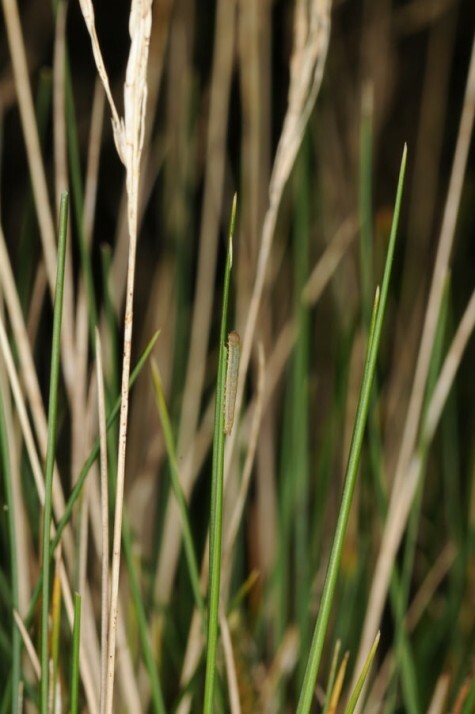 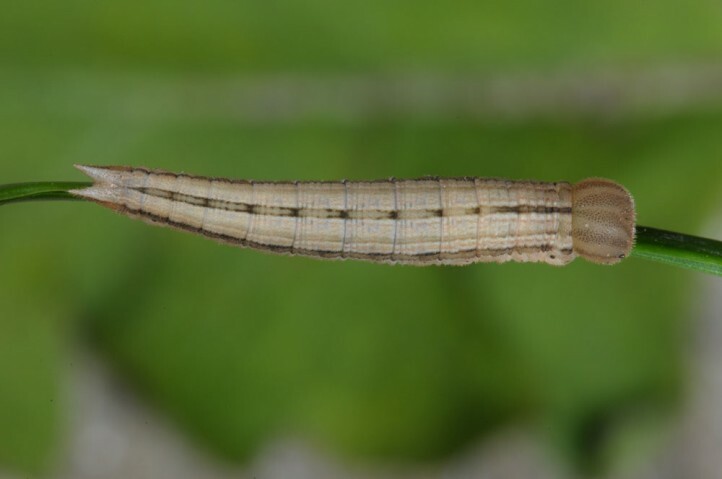 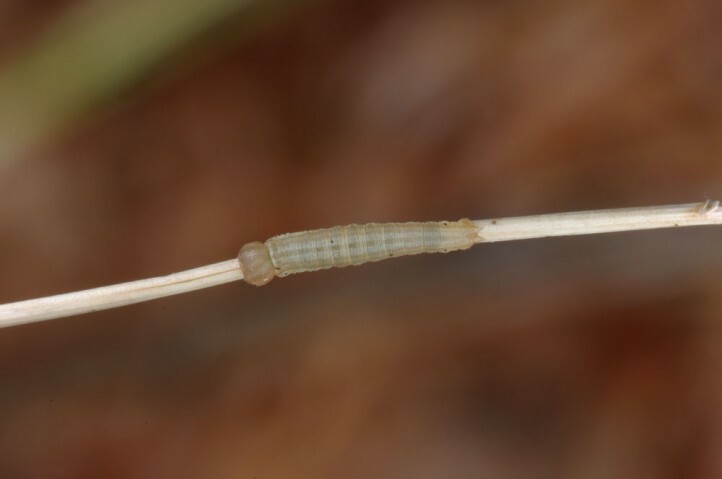 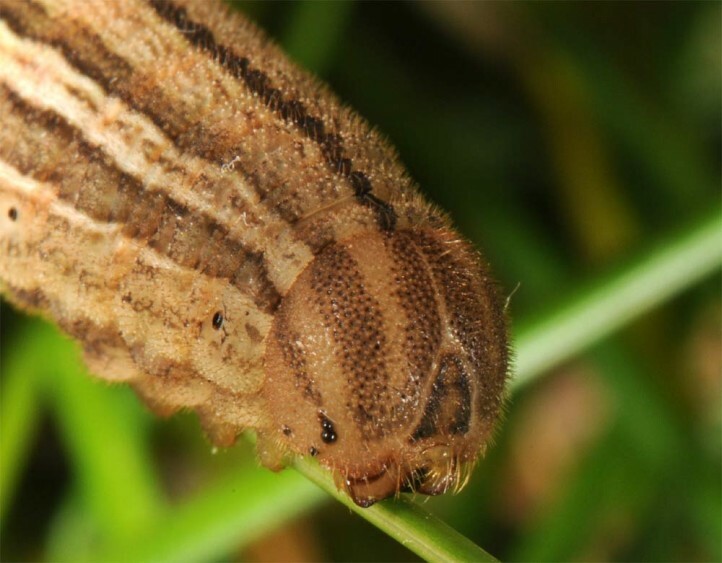 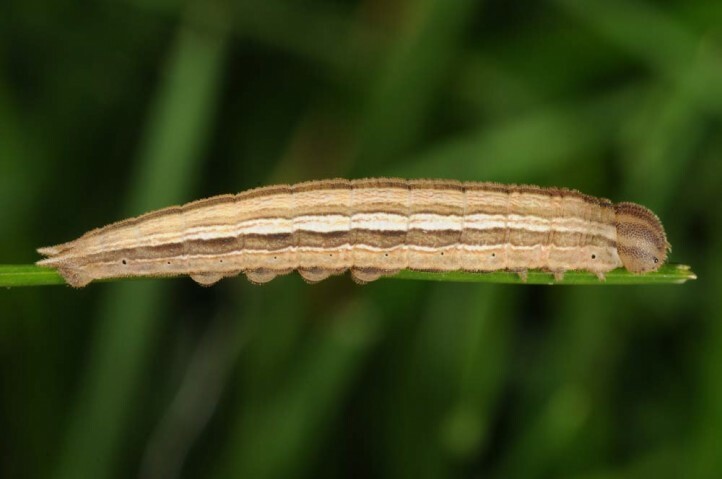 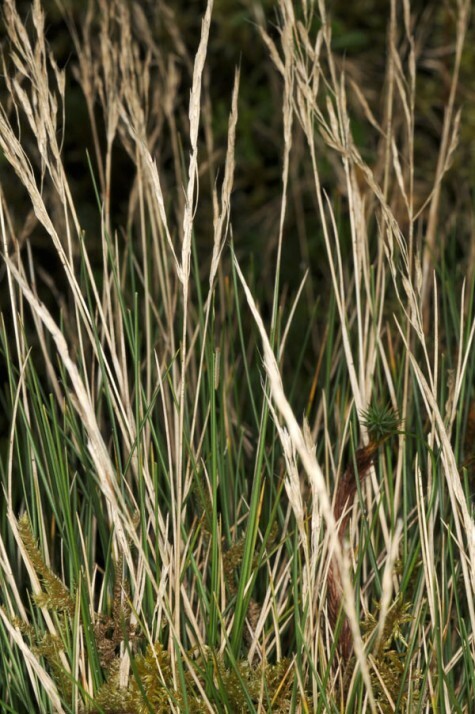 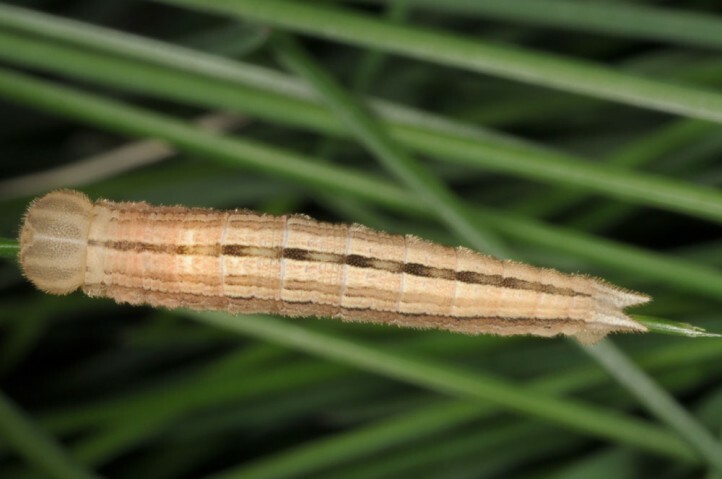 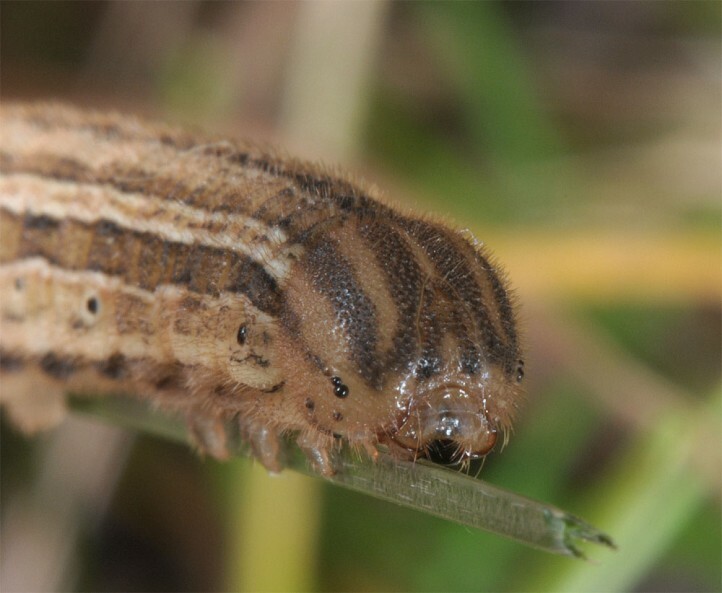 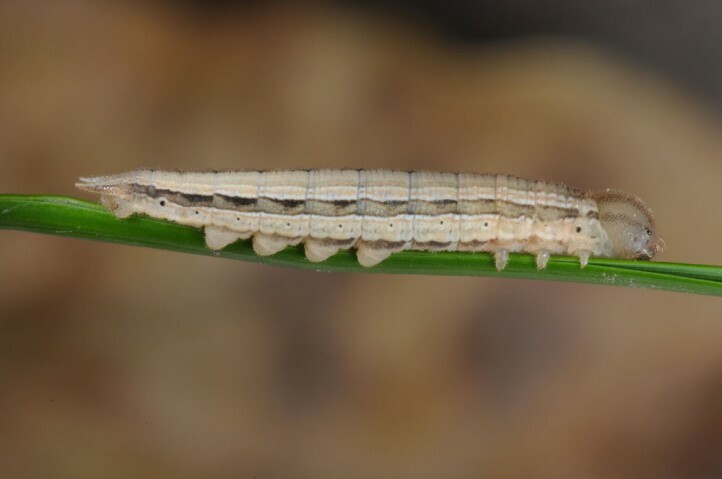 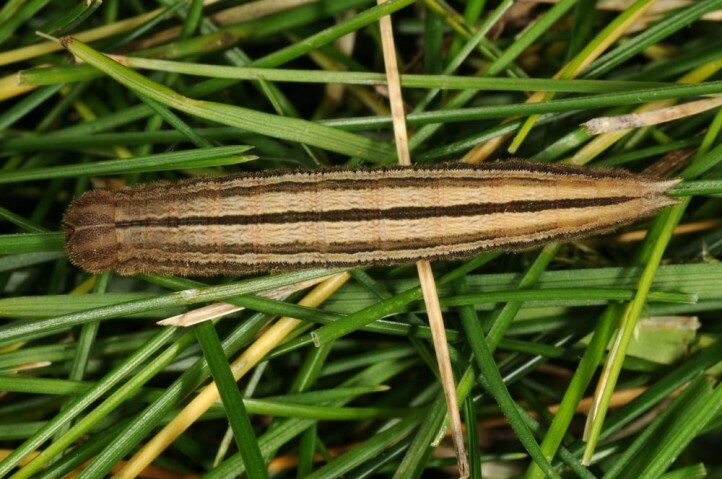 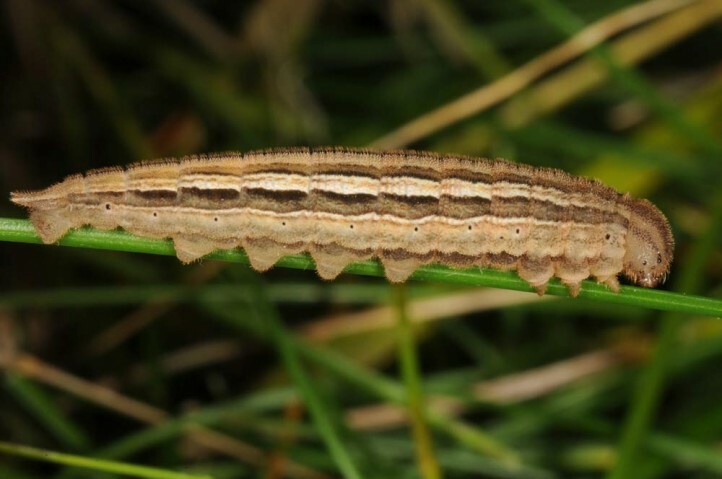 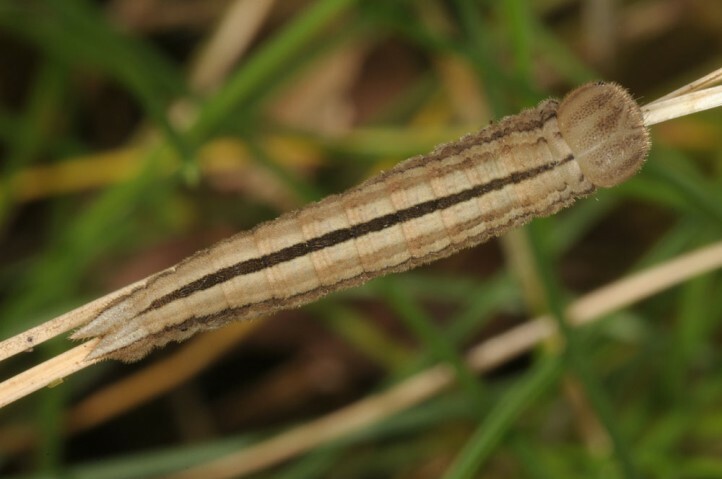 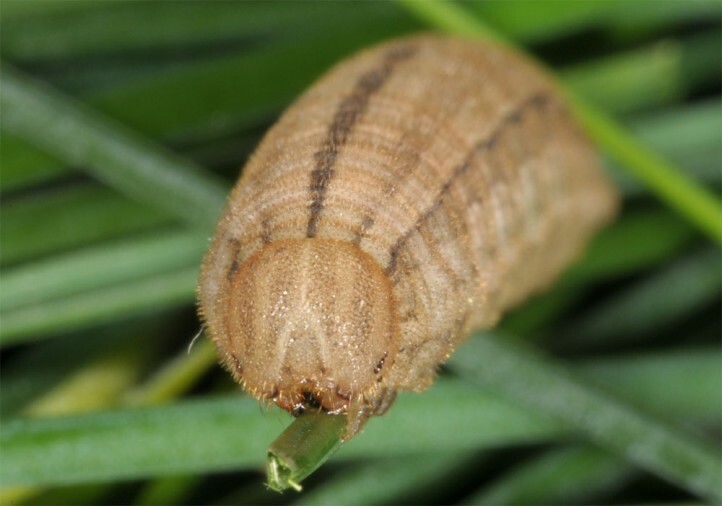 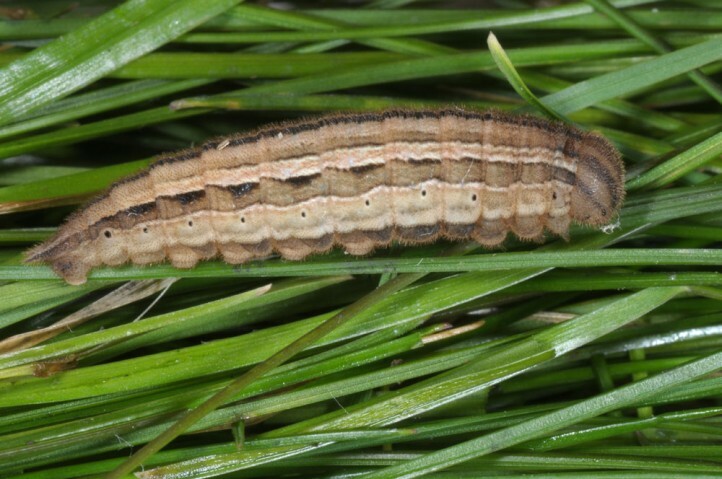 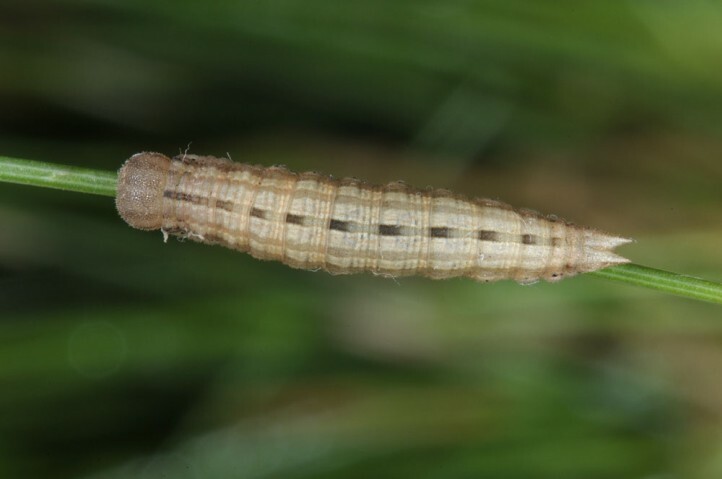 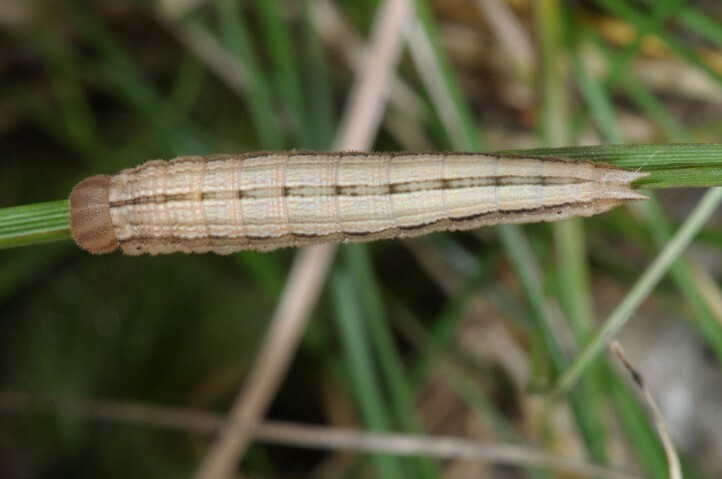 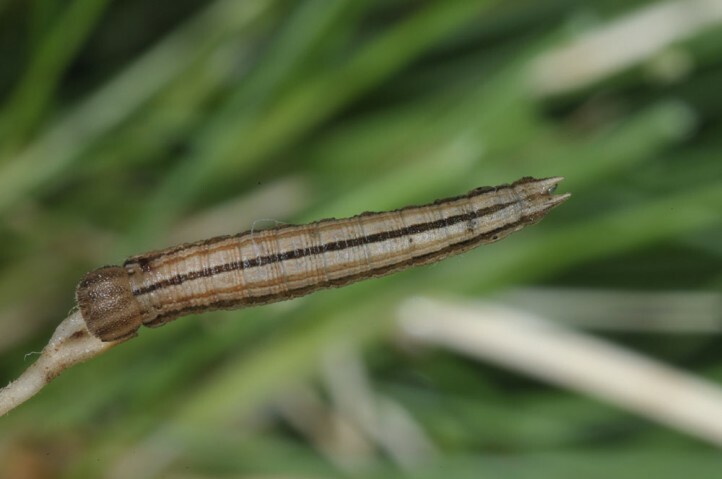 The larvae feed on grasses, mostly Festuca. 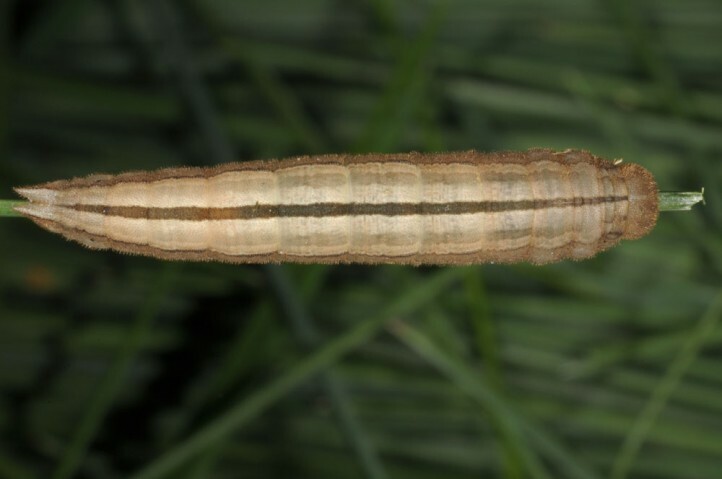 I recorded larvae of ssp. 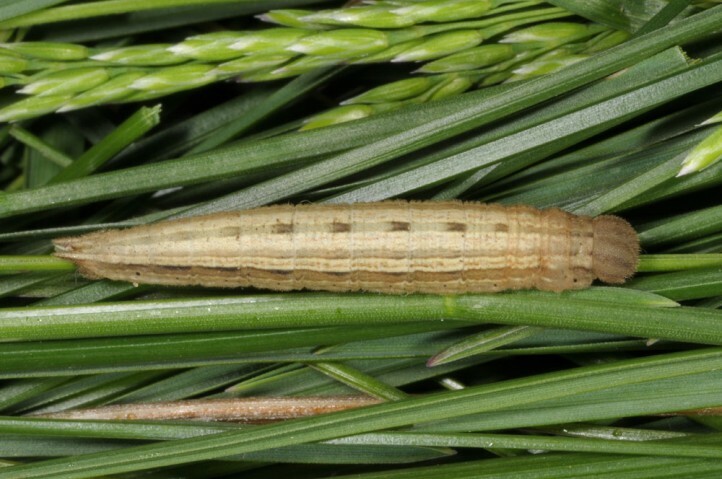 miguelensis on Saint Miguel only on Festuca francoi (formerly referred to as Festuca jubata). 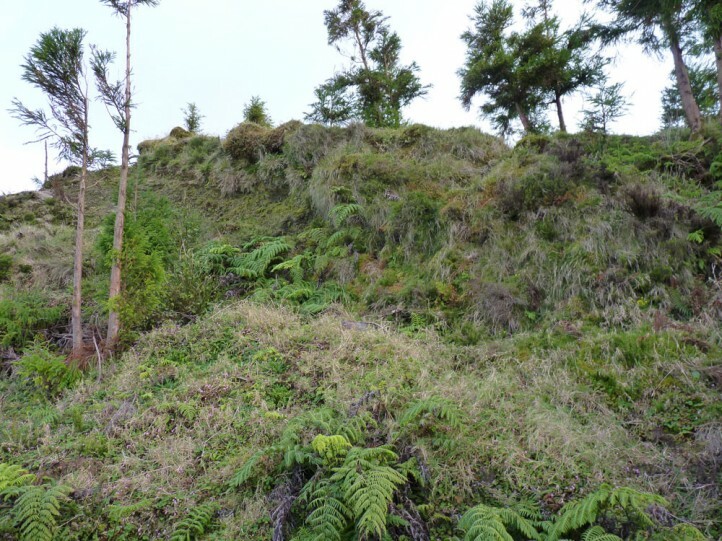 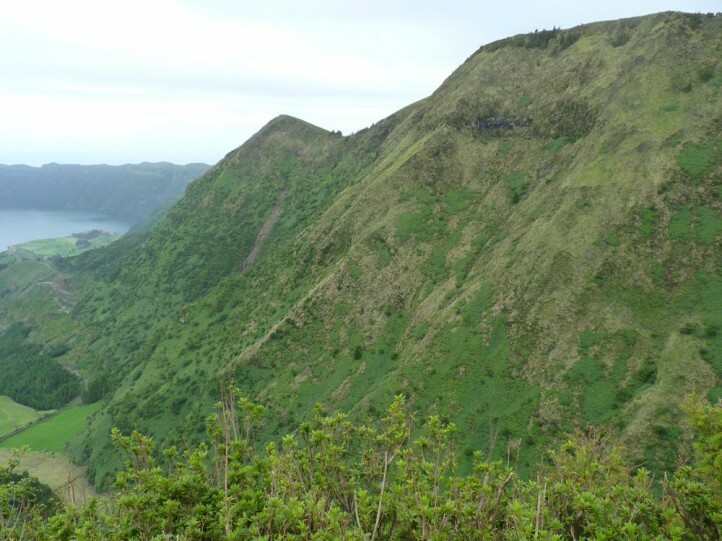 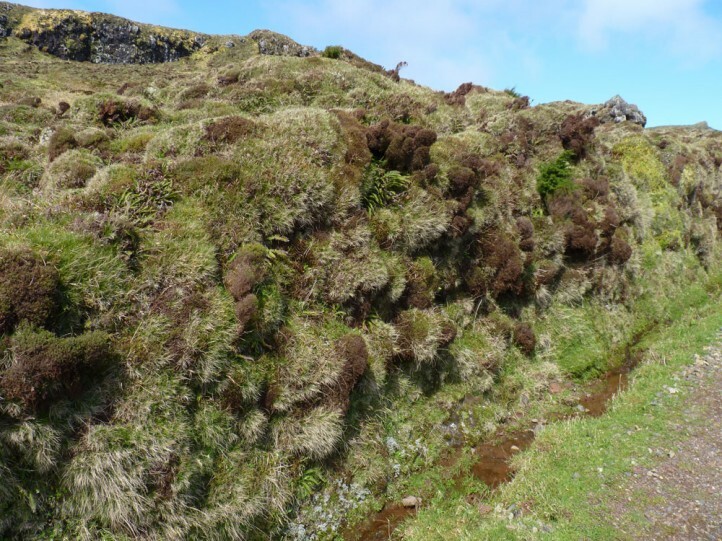 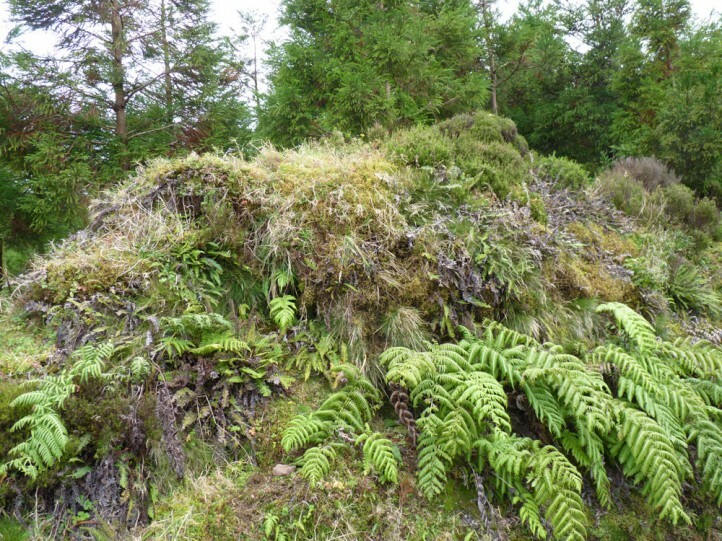 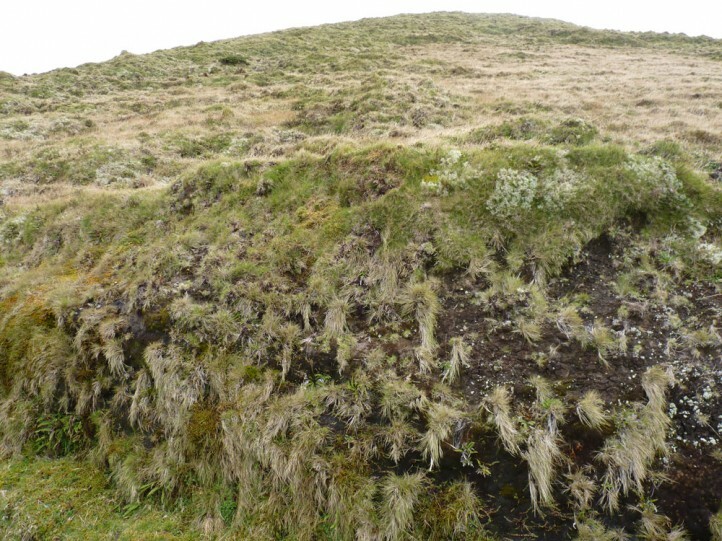 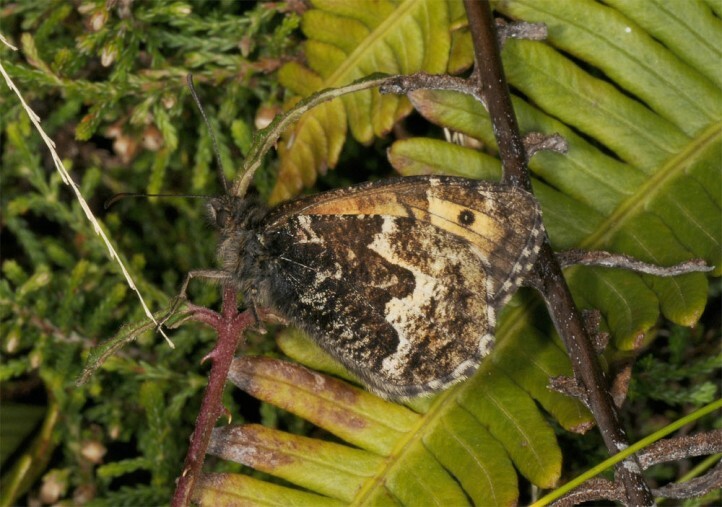 Hipparchia azorina occurs mostly in the higher altitudes of the islands above 500m asl (peak at 700-1100m, on Pico up to 2000m) where heathland with dwarf shrubs, mosses, lichens and Festuca francoi dominate. 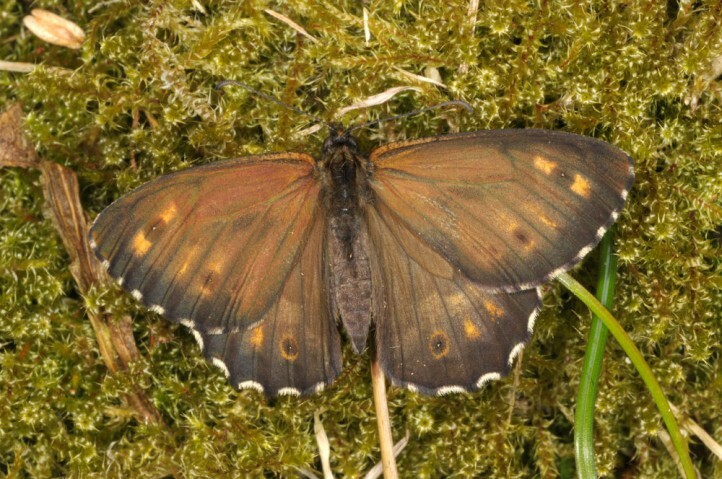 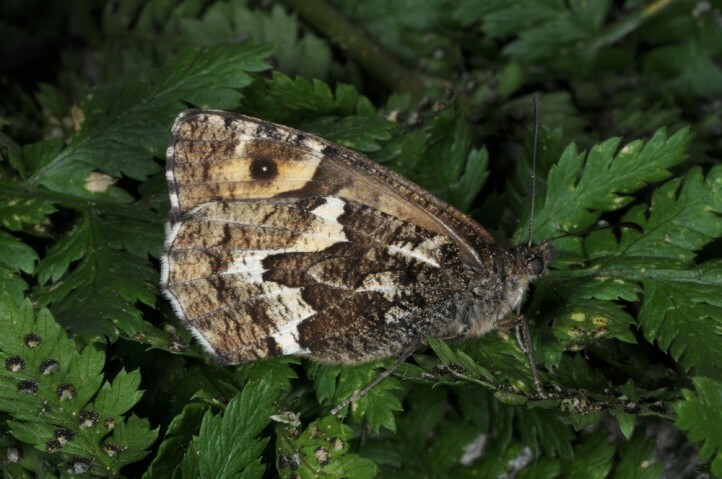 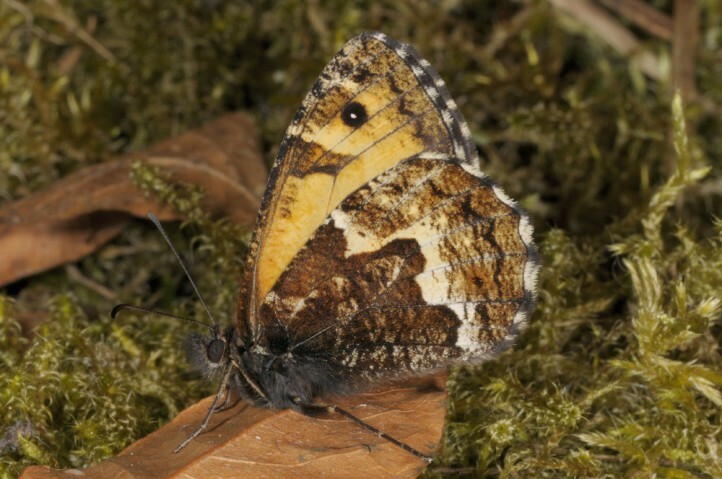 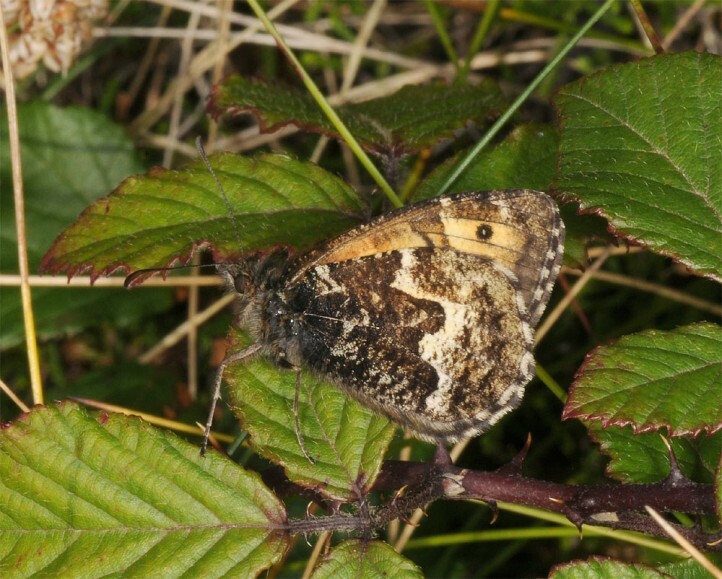 The butterflies and larvae also occur in sunny embankments in open woodland. 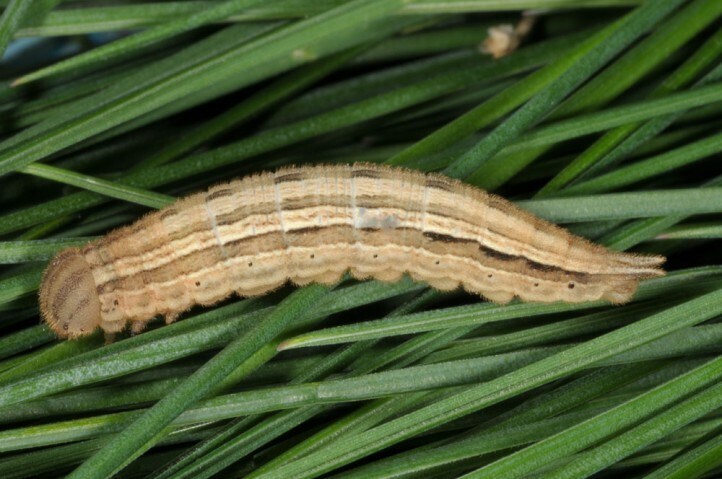 The larvae prefer sunny and a bit more dry places. 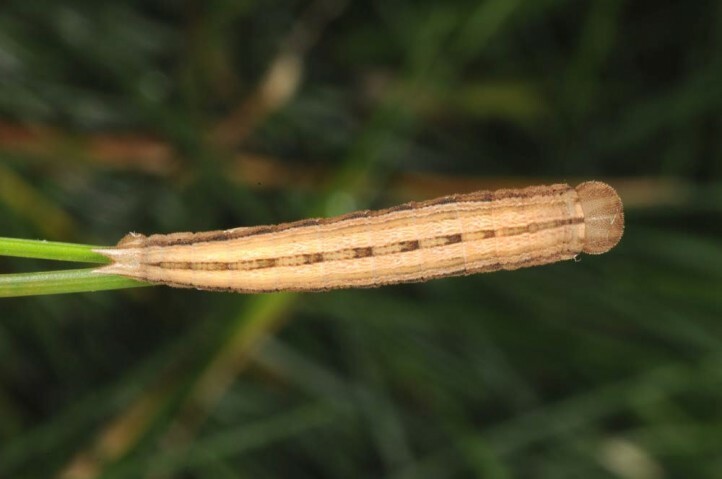 Hipparchia azorina penetrates extensively managed cattle pastures along broad embankments and grassy walls, but generally lacks otherwise these nutrient-rich cattle pastures. 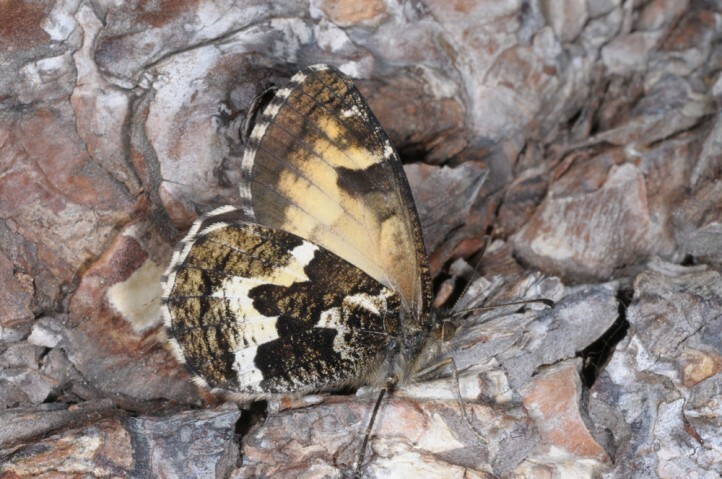 The butterflies occur mainly in summer between May and August, sometimes even later. 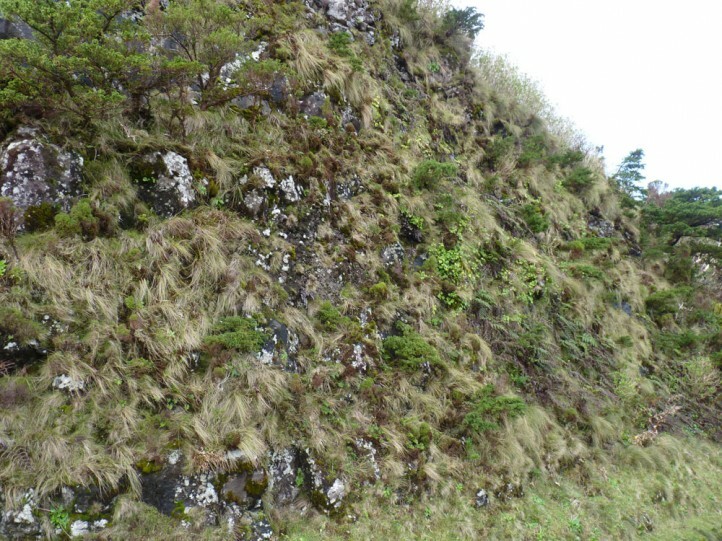 Obviously there is at least a partial second generation. 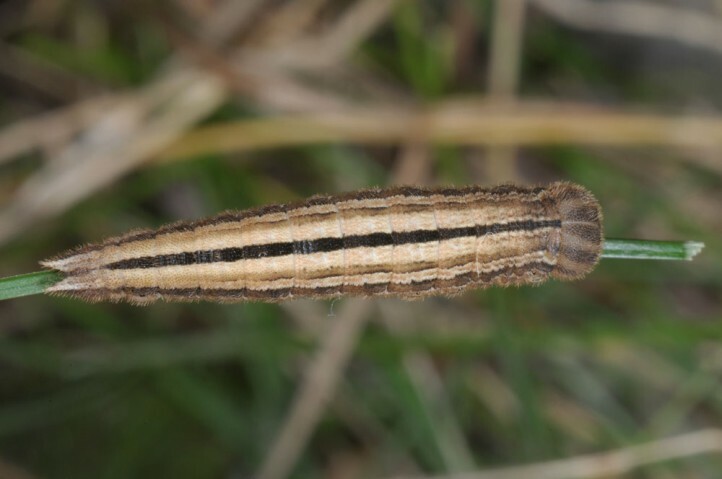 In Saint Miguel I recorded at least 5 adults in mid November 2013, but at the same time also more than 30 young larvae (mostly L2, some L1 and L3). 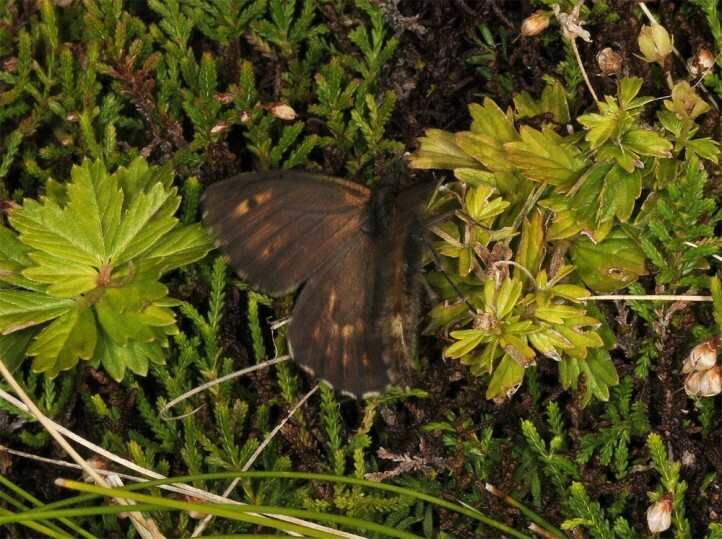 The exact phenology should be further analyzed. 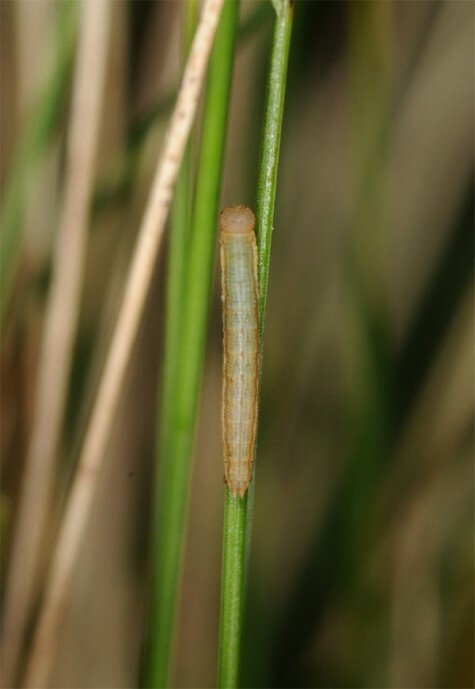 The young larvae feed also during day time and can be observed in larger numbers at suitable sites. 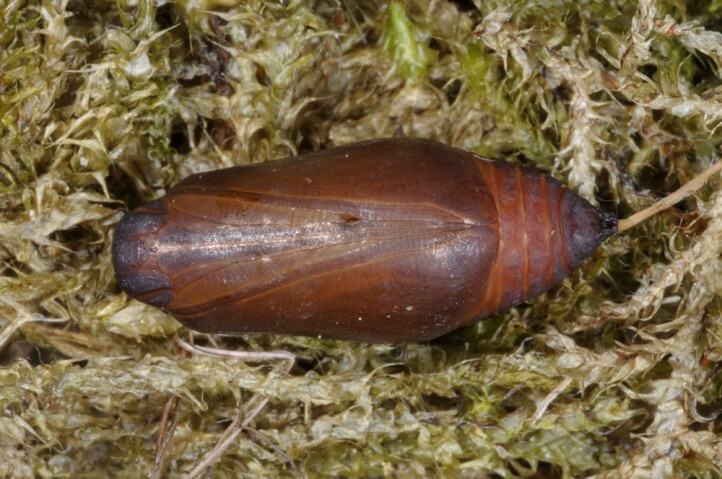 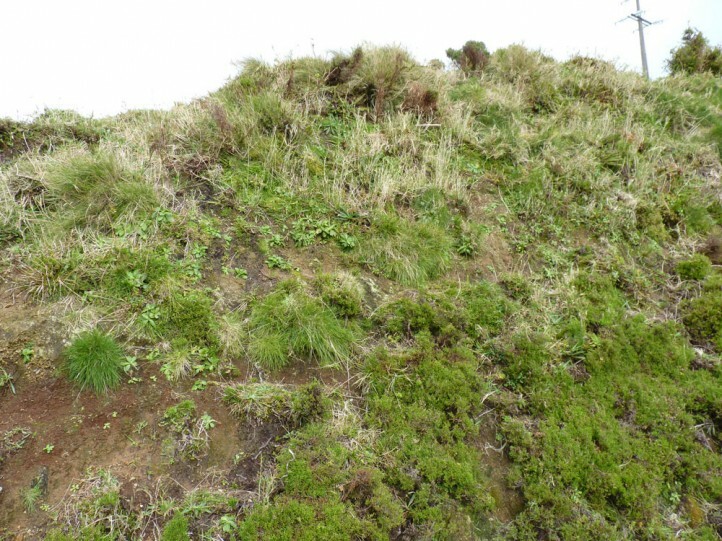 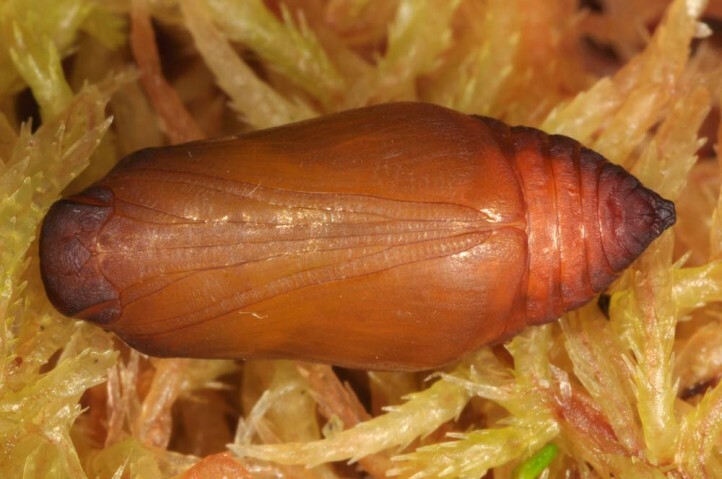 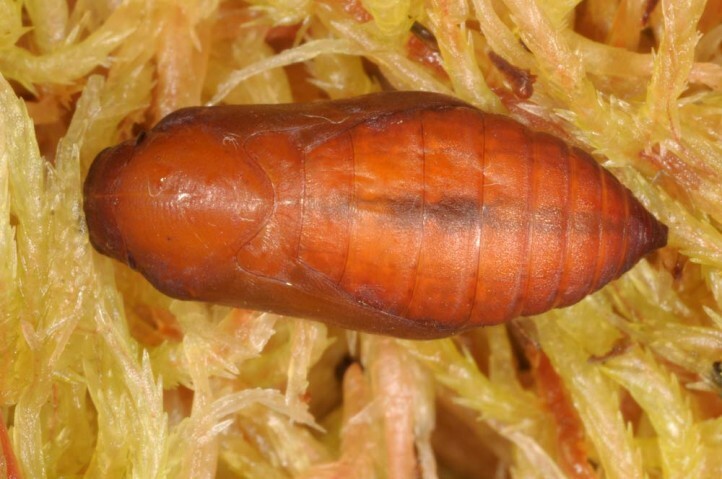 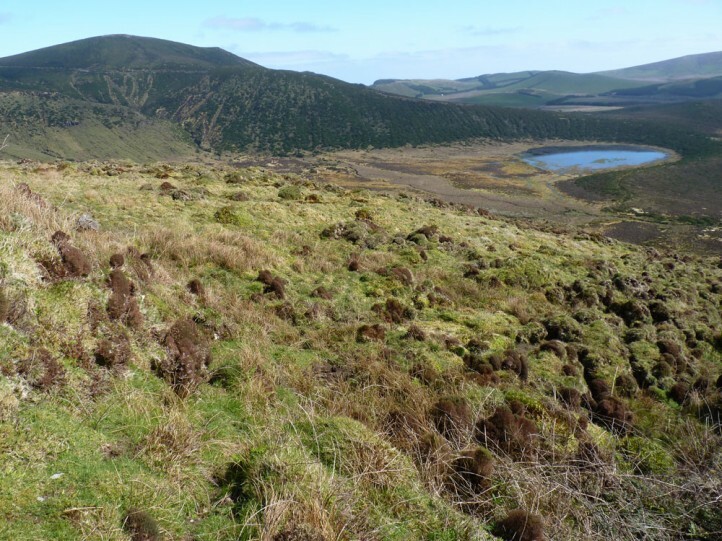 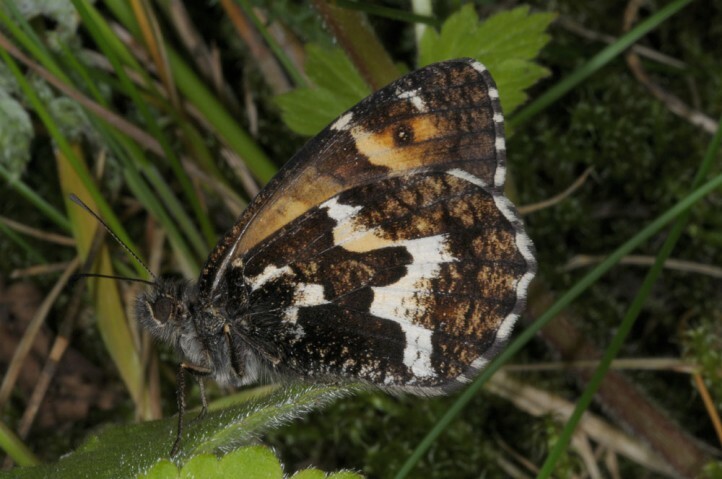 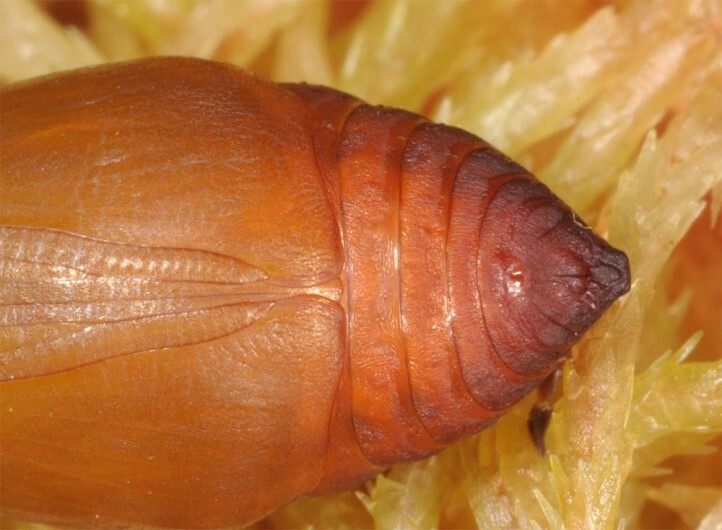 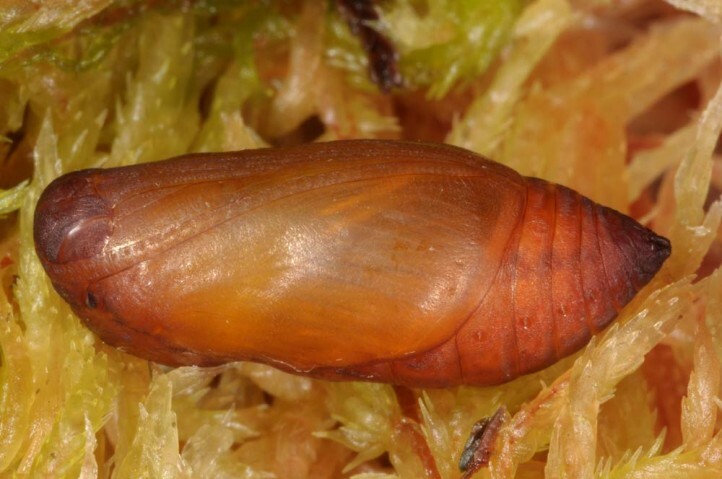 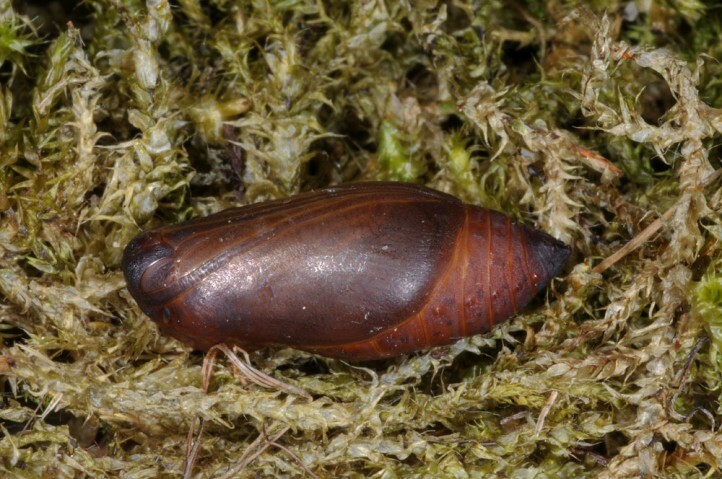 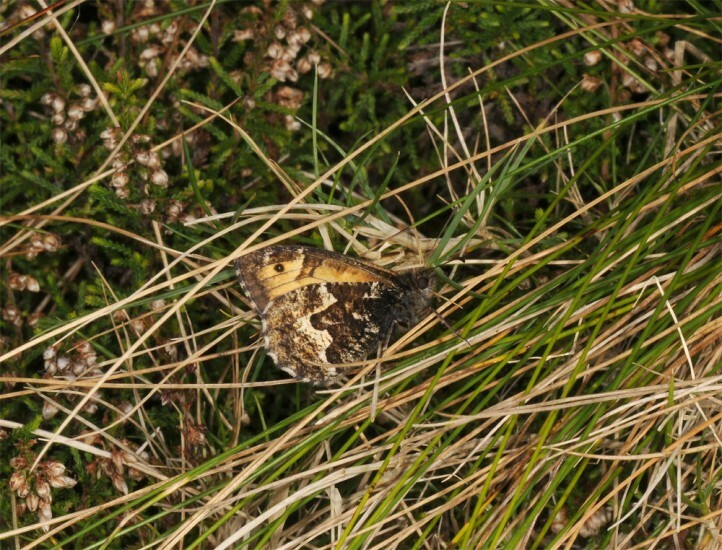 Hipparchia azorina depens on the conservation of the Atlantic heaths in the higher altitudes of the islands. 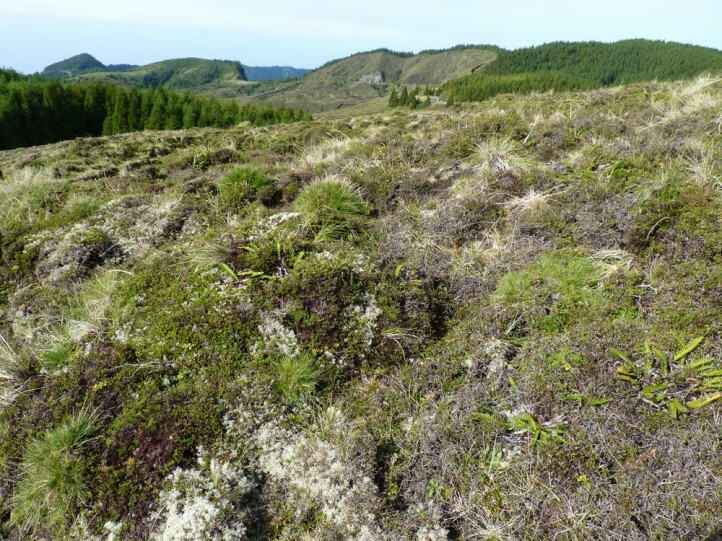 Cattle pastures have already reduced its habitats. 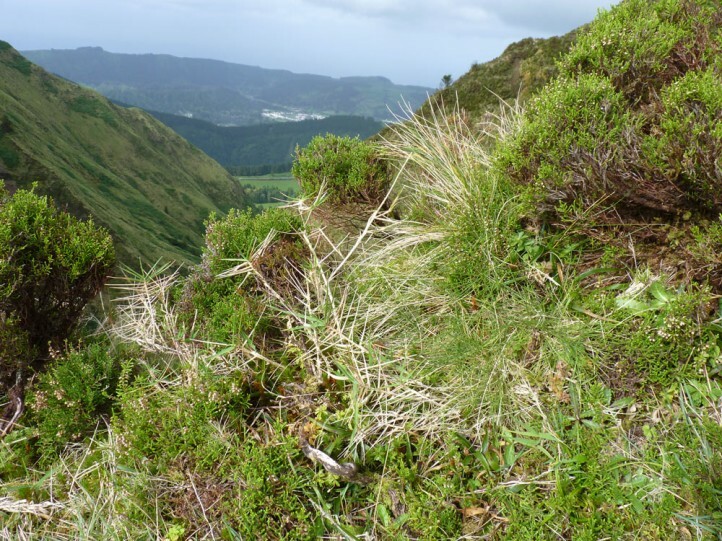 Nevertheless it belongs to the more common species in the still available habitats. 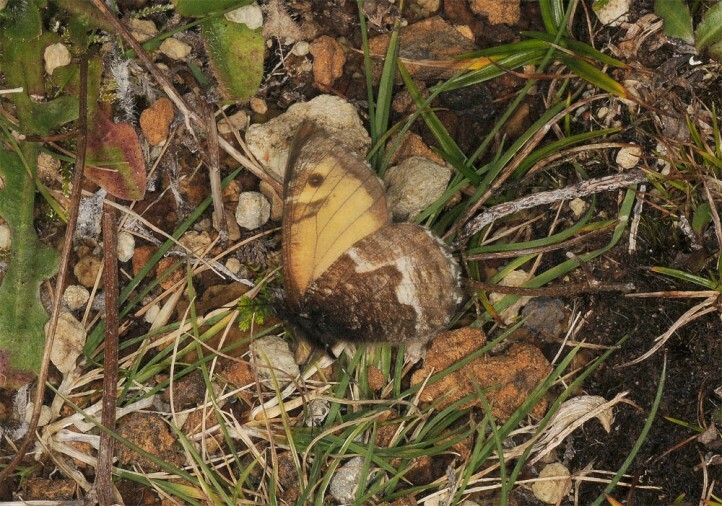 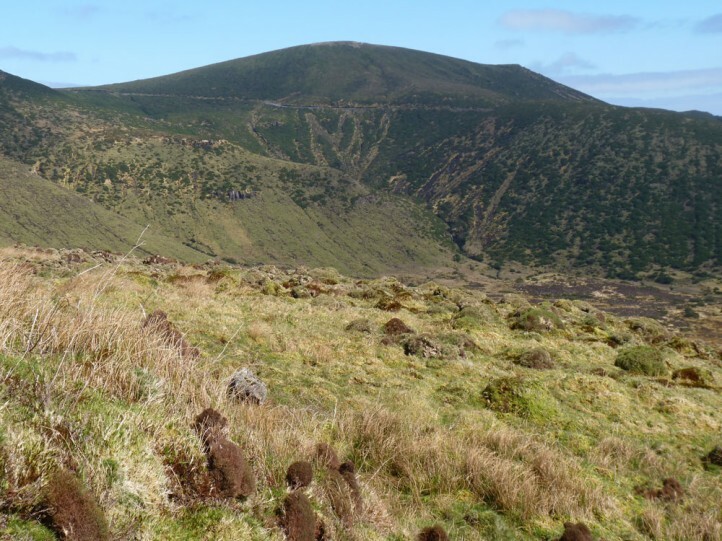 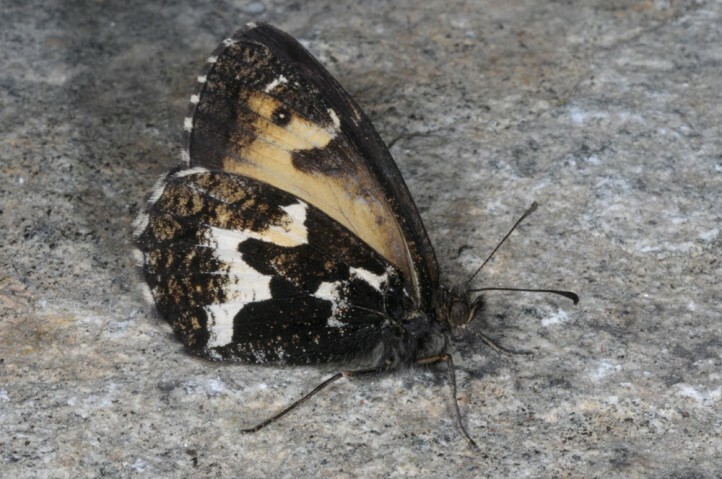 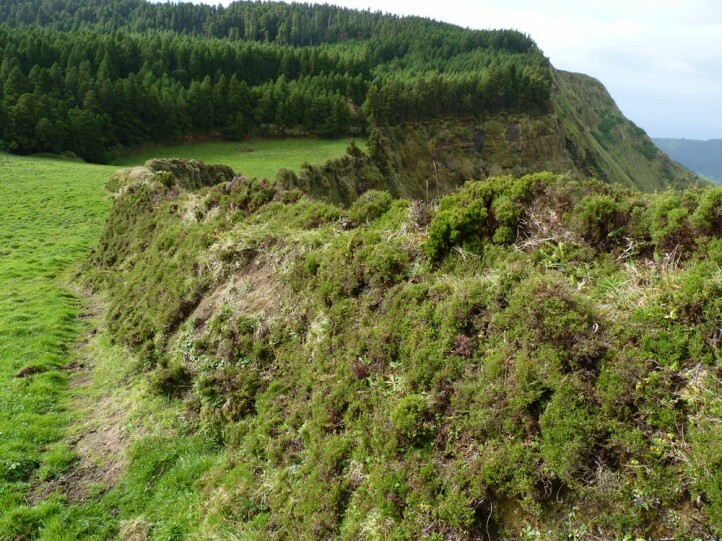 Hipparchia azorina is endemic to the Azores (Portugal). 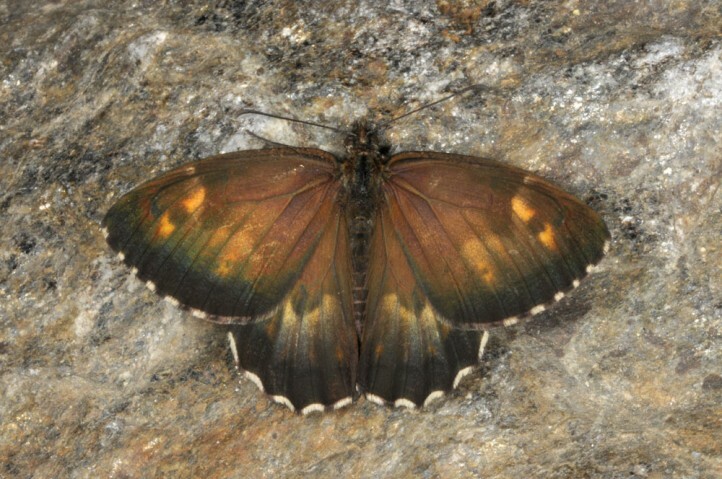 Depending on the author, up to three species are reported for these islands: Hipparchia miguelensis Le Cerf, 1935 in San Miguel Island and Santa Maria, Hipparchia azorina in the islands of the central group, and Hipparchia occidentalis Bivar De Sousa, 1982 in in the western group: Flores and Corvo. 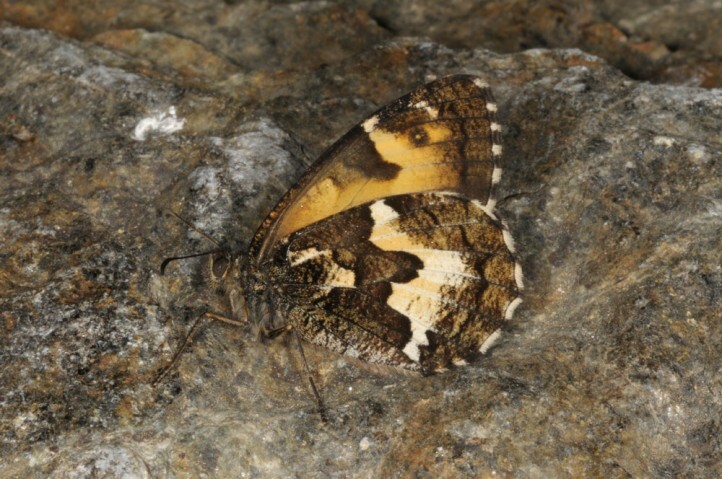 But it is quite probable that all these taxa can be subsumed as Hipparchia azorina (probably with the three subspecies).